ifarma-mint app is an innovative tool that provides enforced detailed scheduling of the monitoring process in order to acquire early knowledge of the population and spread of insect infestation. farmer, consumer and environmental protection from excess use of pesticides. The mint App is built upon the FISpace platform, utilizing FIWare technologies. It takes advantage of FISpace's advanced collaboration features in order to facilitate collaboration between farmers and the agronomist-advisor. Uncontrolled spread of insect population has a negative impact upon the quality and quantity of the cultivated crop with parallel spreading of viral diseases. Those factors lead to economic losses by the farmer. Also, growers due to the lack of precise knowledge of the population of insect often apply preventative spraying of toxic insecticides, without taking into consideration the environmental and health issues that arose from their action. reduced number of sprayings applied to the field. 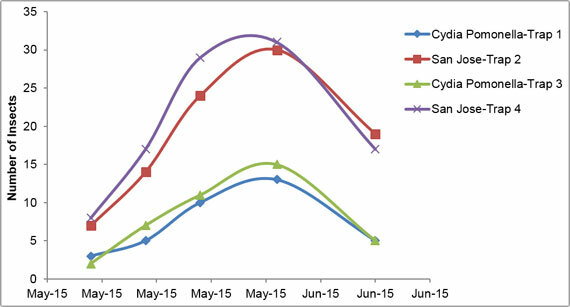 decreased cost of field visits for insect trap data collection. decreased cost of communication between farmers and the agronomist. reduced time for data processing, data recording and decision making. accurate and early knowledge of the population outburst of specific insects per cultivation, location or farmer. cost saving via the reduced number of insecticide application, preventative spraying applications are minimized. Significant reduction of the cost and time of data collection/ analysis from each insect trap. Minimized time needed for spraying applications approval. Health protection of consumers and farmers via the reduction of spraying application. The mint app provides to the farmer and his agronomist advisors the ability to monitor the presence, the number, the distribution and the geographic spreading of insects within a trap. The agronomist (advisor) sends via personal computer (PC) a specific trap monitor request to all or some of the farmers/field owners depending on crop, location and weather conditions. The farmer/s receives the request on their mobile devices via the mobile app MINT and uses it to collect the appropriate field data, for example, Trap ID, date and time, Location-using GPS feature of the mobile device, types and numbers of insect captured, image of the trap-using camera of the mobile device. All the recorded information is submitted back to the backend database (ifarma is used as a backend) via FISpace's SDI component and a FISpace front-end App, used by the agronomist, enables the visualization of the aggregated data in terms of time and spatial distribution per trap, along with the number of insects captured with schematic trends of insect population and historical data recording. The mint app provides innovative features to the user. The agronomist advisor, organizes and executes the trap monitoring process. With no additional hardware cost, only the cost of the mobile device, the farmer receives the specific trap requests, logs the required information and transmits back the data to the agronomist for farther analysis and processing. The proposed mint app focuses upon four distinct but very similar target groups: a) farmer groups, b) farm cooperatives c) agriculture products production companies and d) agronomist consultants. All these groups have in common that they represent or provide service to some form of organization/cooperation of individual farmers. MINT Project is funded by the Fractals FIWARE Accelerator. MINT user trials and pilot phase will be performed with the a pool of end-users including the Agriculture Cooperative of Zagora, Pelio, Greece. 0030 2310 804981 - 4. Agrostis is an IT company based in Thessaloniki, which aims to provide products and IT services and new technologies, exclusively in the primary sector and combines expertise and experience of many years in the field of Agriculture and Informatics. If you wish to receive news about ifarma and Agrostis via e-mail please signup to the following mailing list.